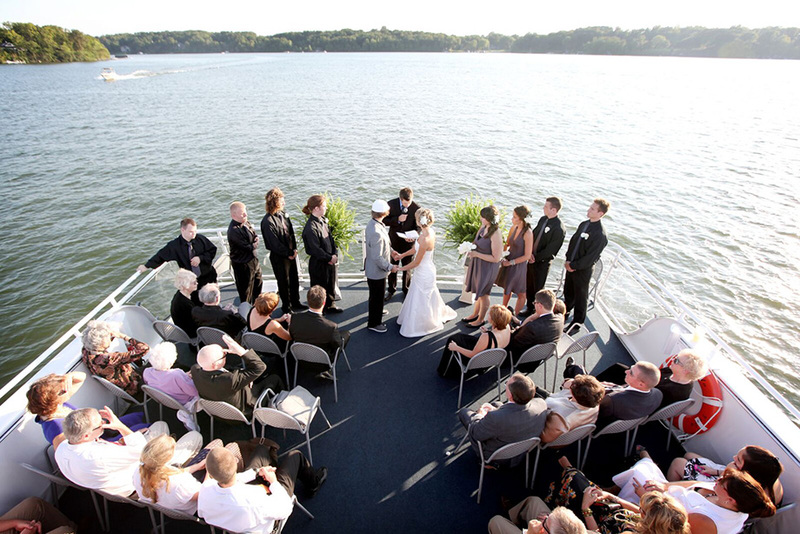 Surround yourself and your guests with one of Minnesota’s most renowned natural treasures…Lake Minnetonka! 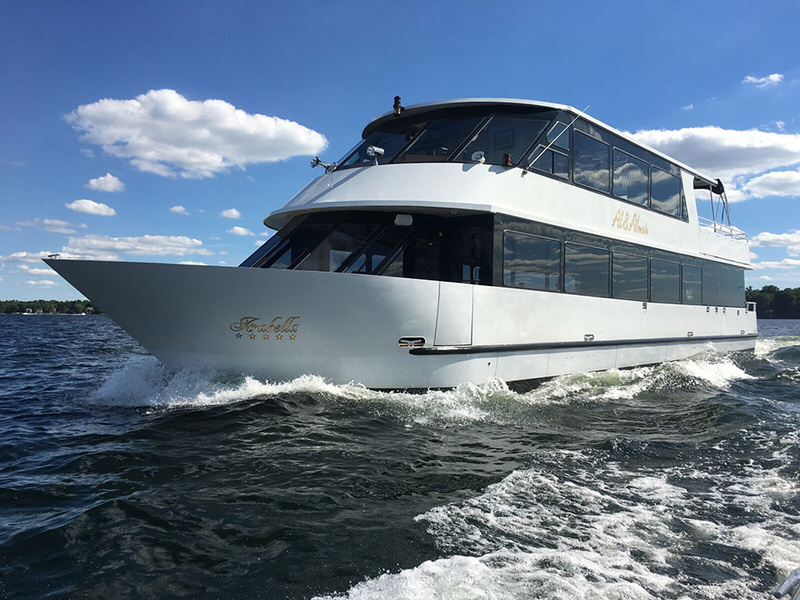 With seven magnificent yachts accommodating celebrations from 20 to 149 guests, the staff at Al and Alma’s is passionately dedicated to working with you from start to finish to ensure your event is unforgettable. 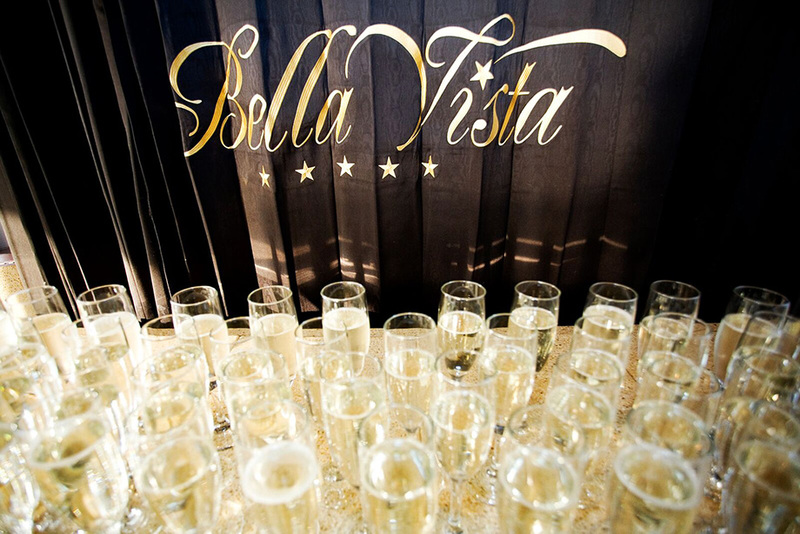 Your Al and Alma’s experience will begin with a personalized approach led by our expert wedding coordinator, who will work with you to reflect your vision and create a celebration that is personal, seamless, and stress-free. 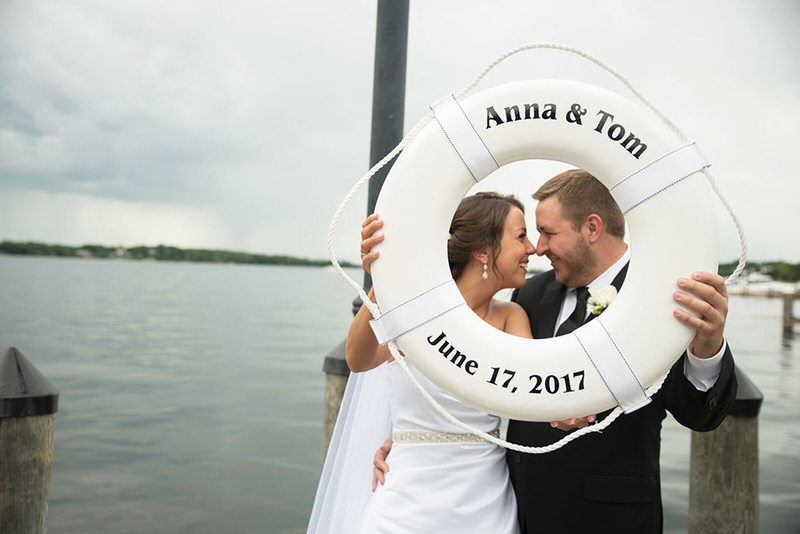 The incredible backdrop of beautiful Lake Minnetonka will provide you with amazing photographic memories and bring a unique experience to you and your guests. 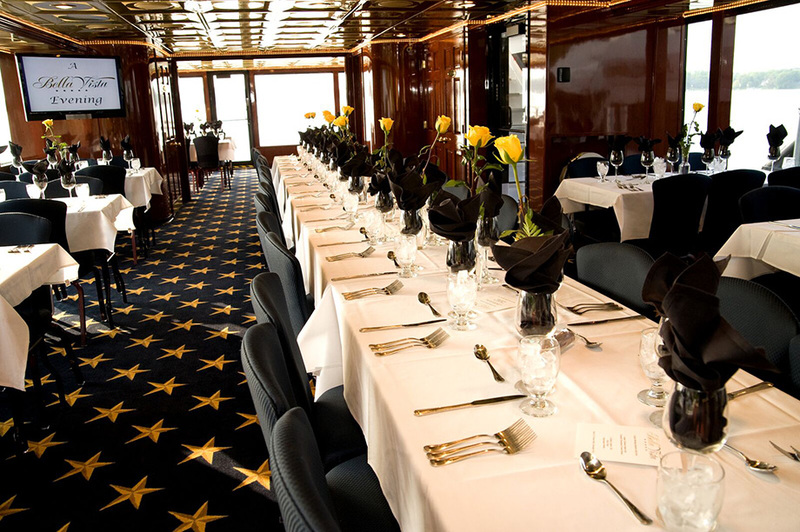 While on board, our award-winning food and exceptional service is sure to top off your celebration. 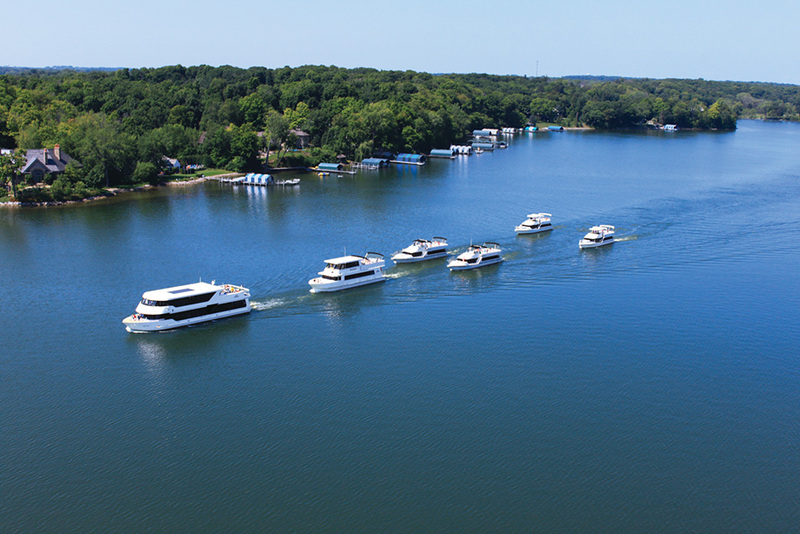 Our custom-built yachts are designed to surround your guests in luxury while providing unmatched views of exquisite shoreline, spectacular homes, and heavenly sunsets. Come celebrate with us! 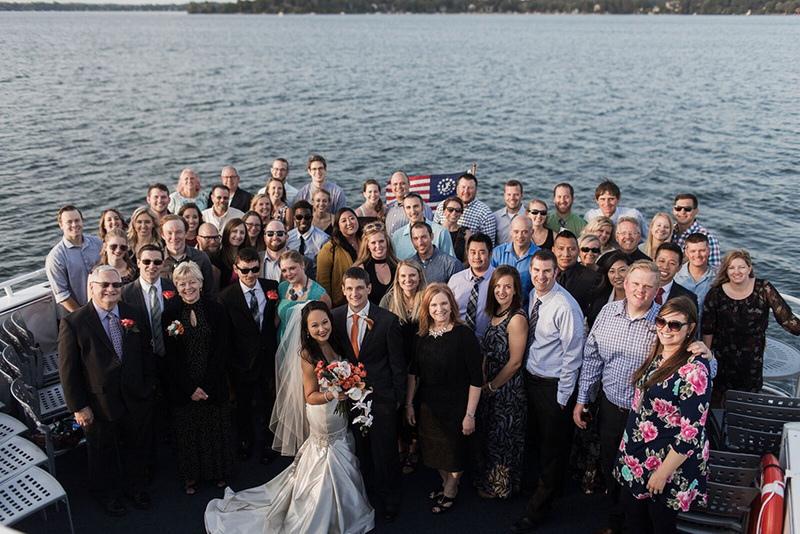 My husband and I recently had our rehearsal dinner on one of Al and Alma's boat cruises. We, our friends, and our family had an amazing experience. The staff was incredibly friendly and the prime rib we had for dinner was EXCELLENT. So many of our guests are stilling telling us how much fun they had. Our captain was able to answer any questions we had about different lake properties, but made it fun and interesting and did not drone on and on. It was such a beautiful day and we had great experience! We ended up having our wedding on the coldest day in July (who knew it could be winter in July?!) and it was still a wonderful day on the boat! 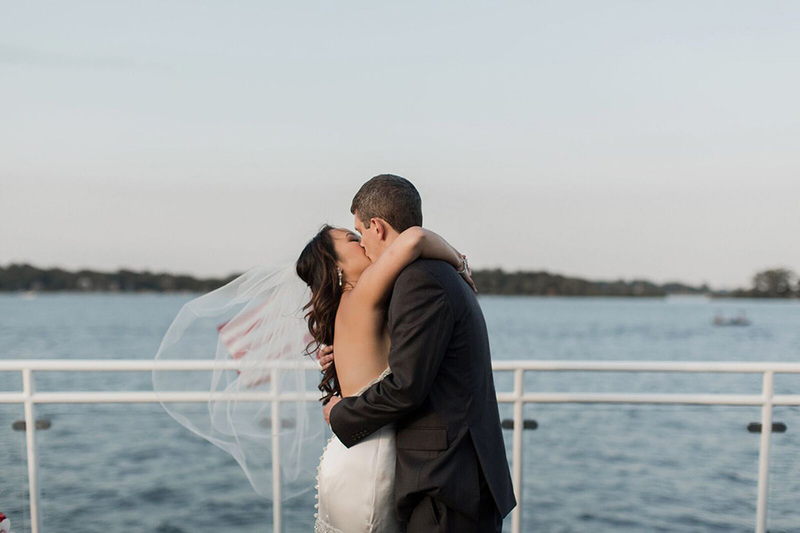 We really were looking for a unique experience for a wedding reception and Al & Alma's offered just that. Our guests were so pleased with the service, amenities, food, and staff! The views of the Lake were still incredible from inside as our guests stayed warm behind the floor to ceiling windows. Jamie was an amazing wedding coordinator as well. 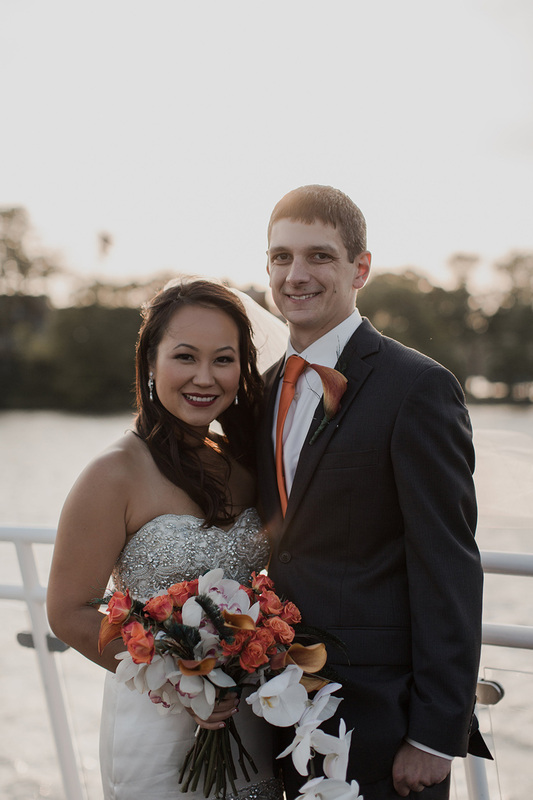 She touched base with me up until the day before the reception to make sure I had everything that I needed. I would highly recommend Al & Alma's for a ceremony or reception! 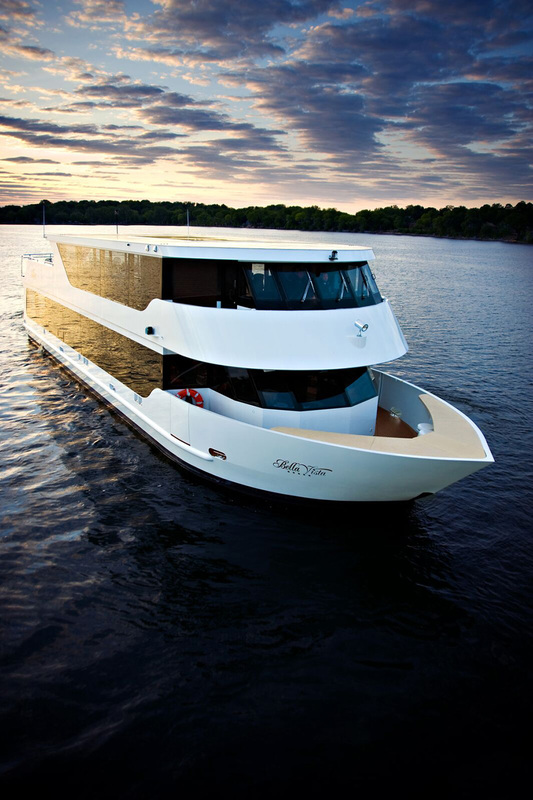 We attended an all-evening wedding reception aboard what appeared to be a brand new yacht. Absolutely gorgeous, everything was polished and spotlessly clean. Service of champagne and bartenders were absolutely flawless. Food was good for a buffet. 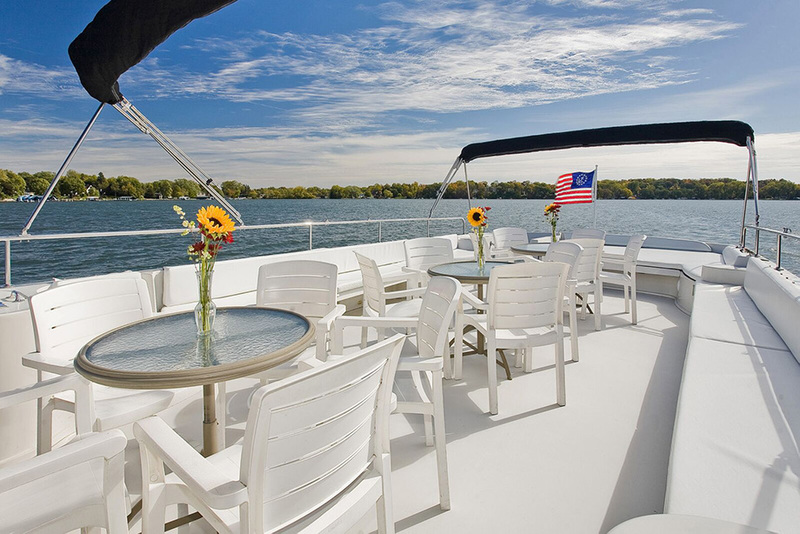 The cruise on Lake Minnetonka took us out and past many very high-value homes. Loved it. Best charter we have been on. Al & Alma's was by far the best bang for your buck and stood out above all of those other cookie-cutter banquet halls we'd researched. 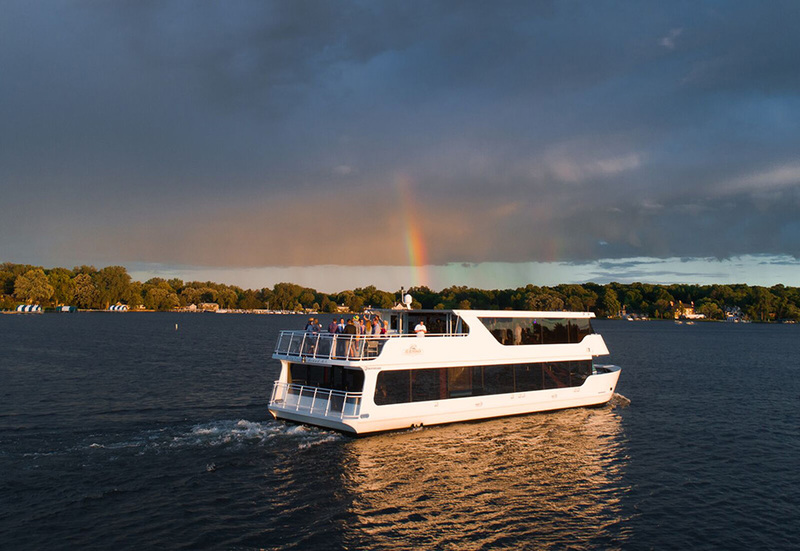 Our guests raved about the food and loved the fact that our reception was on a boat, which drove us all around Lake Minnetonka all night! They have an awesome set up too for those folks like us who are tight on budget and can't afford a DJ. 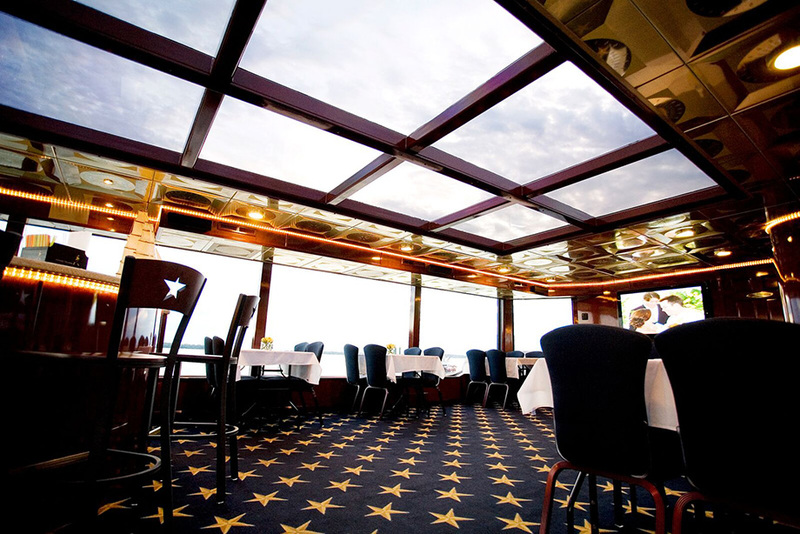 The staff on the boat were awesome, always getting our guests another drink once they saw that their glass was empty and they cleared away empty dishes to allow for the beauty of the boat to not be cluttered with dirty dishes. It was a great night and seemed simple with no hassle to us, thanks to Jamie and her crew at Al & Alma's. Wow! What an evening of perfection. 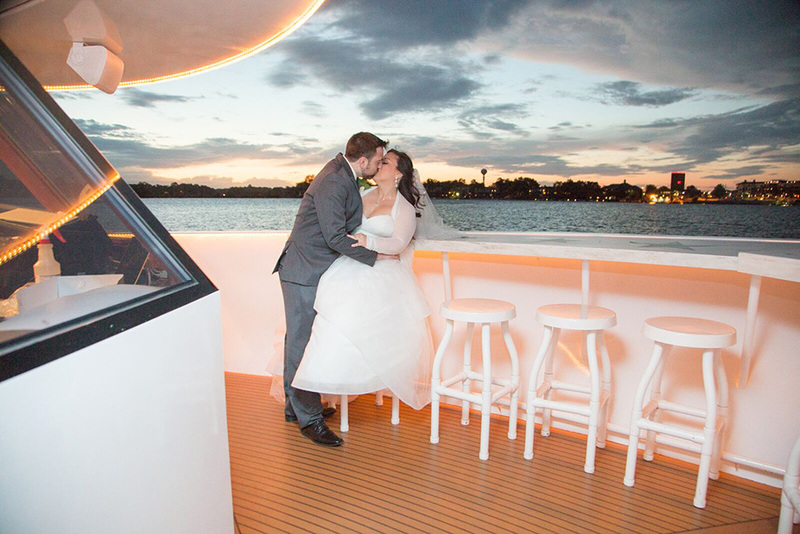 We had the most beautiful Rehearsal Dinner on the Bella Vista boat in the end of August. The chicken and ribs were fantastic and absolutely perfect. 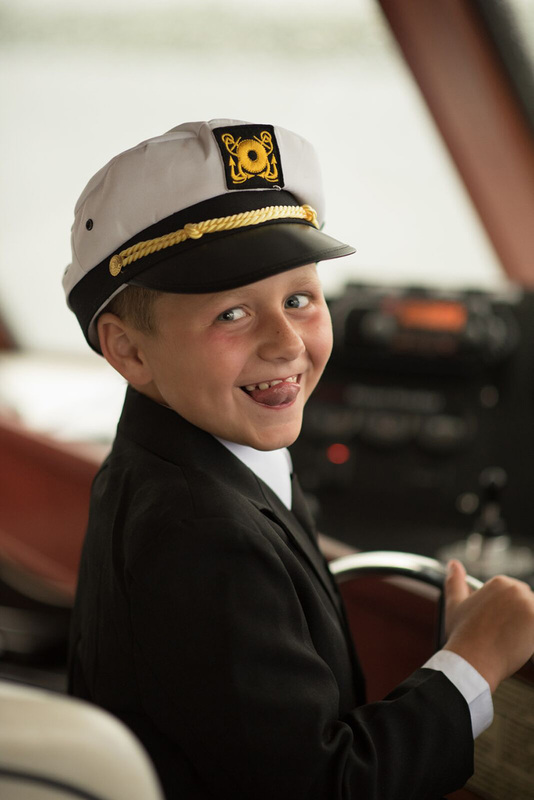 The captain, Jay, was amazing, courteous and always had a smile on his face no matter what questions were asked of him. 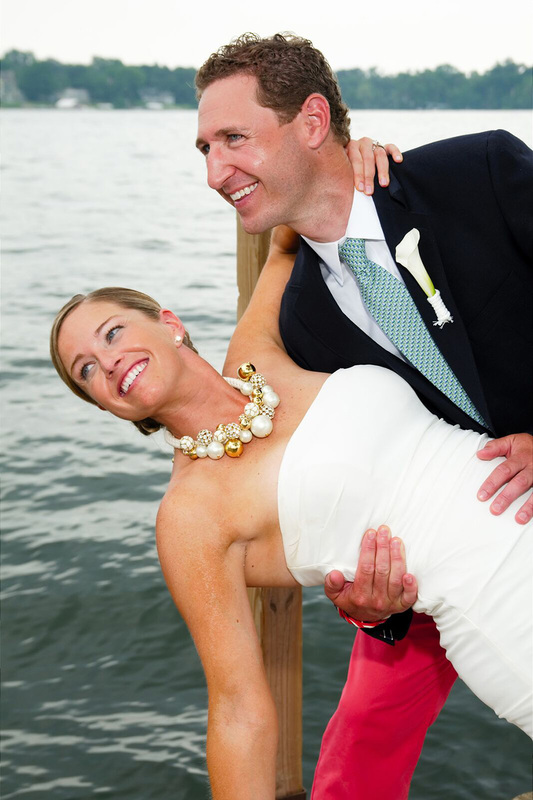 The staff were incredibly helpful and we had just the most perfect night a bride and groom could ask for. 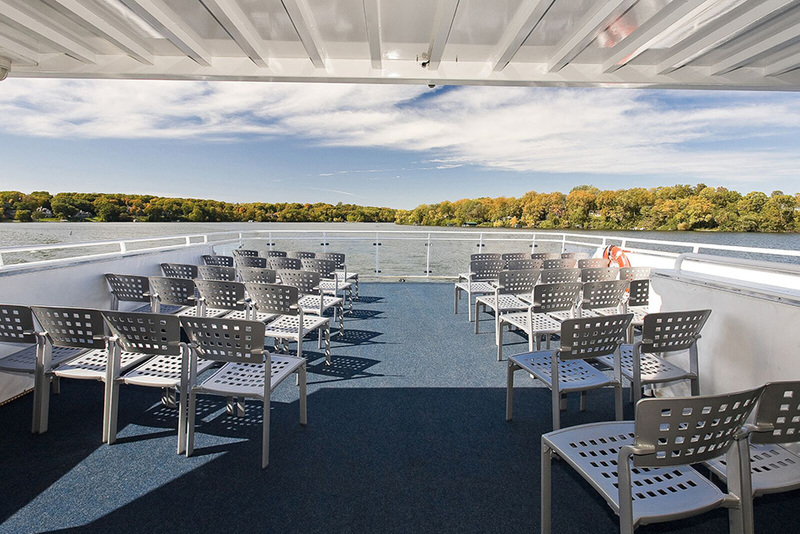 The boat is spacious and has plenty of room for a sit down style meal, should you choose. We were able to show a slide show to our guests on the incredible TV screens also. Speeches went well because the microphone is broadcast throughout the entire boat. The bar is incredible and the boat is decorated so beautifully. 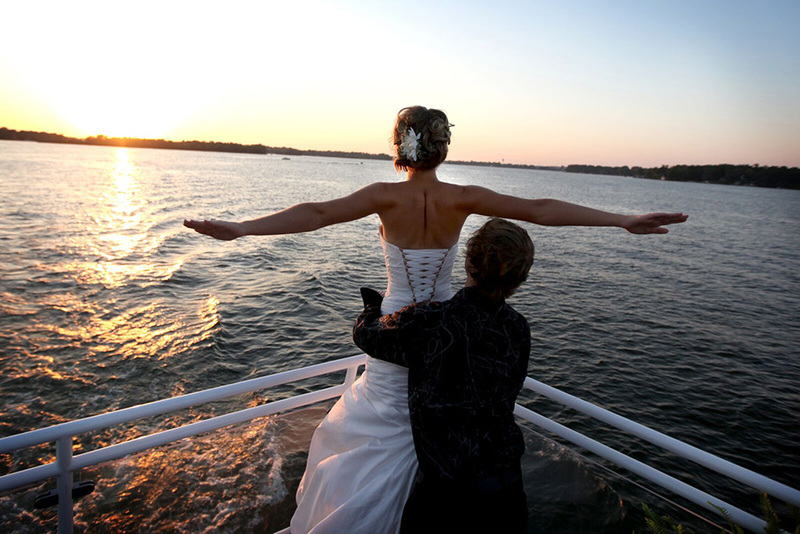 Lake Minnetonka is gorgeous and there is no better Charter boat service on the Lake. Having grown up in the area, I can assure you that Al & Alma's is second to NONE. If you are looking for a different style venue for either a wedding or pre-wedding event to leave a lasting impression on your guests, Al & Almas is just the place. The food, ambiance and staff are just perfect. Jamie and Alma's went above and beyond to make our day absolutely perfect. Thank You for making our day so very special.